Do I Need a Center Bar Support System? A solid skeletal structure is imperative if you are trying to assure correct mattress support, comfort, and comply with the manufacturer’s warranty for the your mattress set and size. Using 1 or more steel slats / middle bar braces with adjustable center legs can prevent sagging, breaking, cracking and bowing while saving you money and frustration. Most of our models include adjustable threaded legs to fit more bed heights while also being compatible with a wide range of bed rails and bed frames in virtually all sizes like king, queen,etc . Heavy duty or standard duty middle bracing is available by clicking below and you can learn more about preventing bed and mattress set damage or give us a call to help. These days nearly every mattress manufacturer requires a center support underneath a boxspring to be warranty compliant. Others simply want the additional support for their full or twin size box springs. Whatever application you decide to use W Silver Product’s FCS001 Universal Bed Frame Center Support for it this center beam fits the bill. Do you have a twin, full, or queen size box spring that does not have support currently? Do you simply want to add extra support to the middle so your bed won’t sag? The FCS001 can do the job. It beefs up your existing steel frame or bed rails by adding 1 adjustable heavy-duty steel cross brace. The width of this brace telescopes wider or narrower using a C-Clamp and 2 pieces of 1 ½ hardened angle iron, and includes 2 legs with two adjustable feet. NOTE: Fits Nearly All Queen, Full, and Twin Size Steel bed rails and even steel frames that stand alone. It doesn’t matter if you have a headboard or headboard/footboard or your frame stands alone. The Glideaway GS-3 XS Universal Center Support fits the following sizes: Double/Full, Queen, King, or California King. The ground-breaking design of the GS-3 XS Center Support system makes it very strong and is designed to retrofit and strengthen existing wood beds that include wooden side rails. The additional bracing is easy to install. The 3 cross support bars and 3 legs included adjust from bed heights as low as 6½ inches, up to 15½ inches tall. This measurement is taken from the bottom of boxspring to the floor. (Headboard and footboard not included and are shown for illustration purposes to demo how the 3 center support connects). 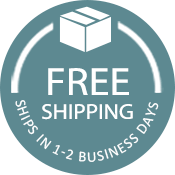 This product typically ships within 2-3 Business days. Choosing the Correct Center Support Is Easy! Our best super duty support system is available in 3 sizes: King, California King, or Queen and can be bought 2 different ways. Below, simply choose your frame “SIZE” Then determine the required “Lip Height“ Once selected the Heavy Duty Center Support Bars pictured & shown top left will change to reflect your choice. Glideaway’s BB Super Heavy-Duty Center telescoping middle braces support your mattress set using four 1 ½ angle iron cross support bars that run crosswise. Each bar includes up to 3 steel legs and 3 adjustable feet per bar. We utilize these hardened steel braces for the heaviest of applications including larger individuals, plus sized couples and even softside waterbeds weighing in at in excess of 1400 pounds. These are the best of the best when it comes to bed frame support. (Details on measuring below) Perfect for those looking to beef up their bed with strongest center supports available. Shop below and check them out. Below: 1) Choose your “Size”. 2) Choose required “Lip Height” 3) Look at photo pictured top left. It’s that easy! Not what your look for? Try using our Frame Finder.